Valentine’s Day is only a week away, and what better way to your Valentine’s heart than through their stomach! 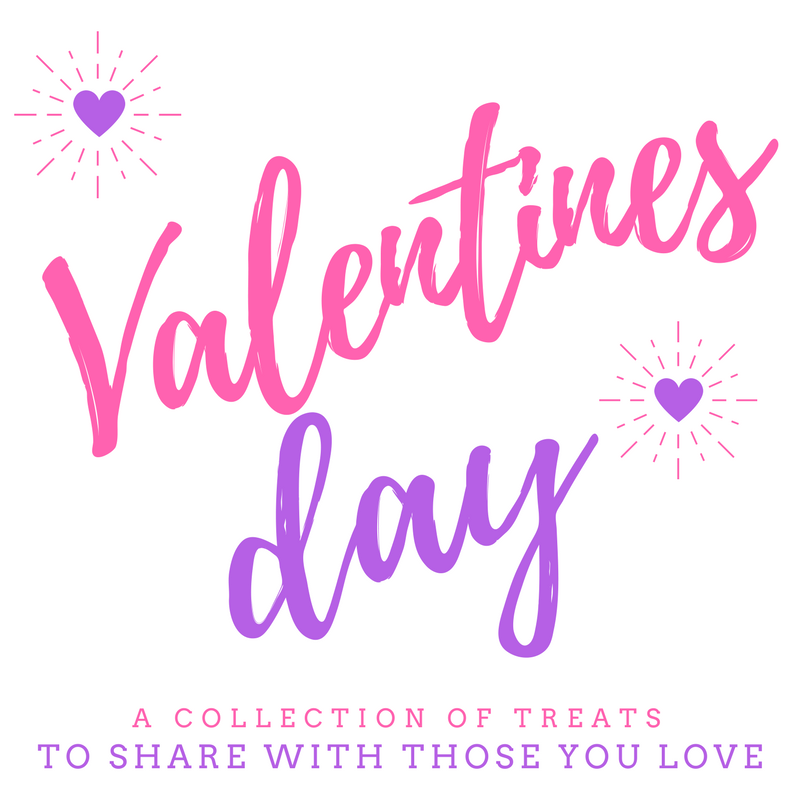 I have plenty of inspiration for feeding your sweetheart on February 14th as I join together with some blogging friends as we share our favorite Valentine inspired recipes. 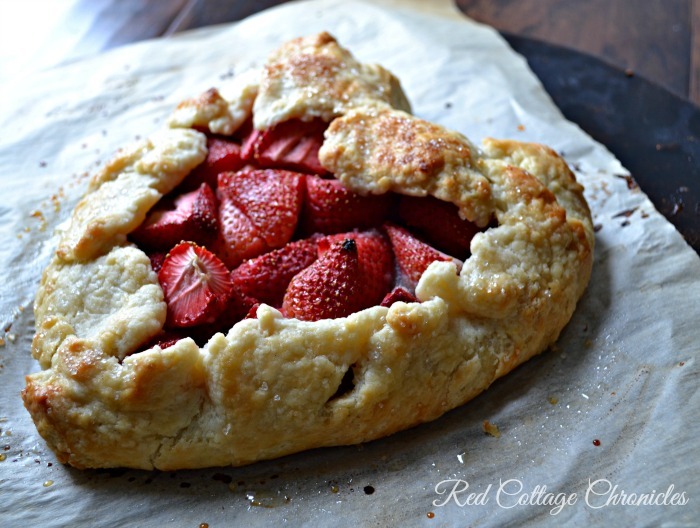 Starting with my Sweetheart Strawberry Galette that is so incredibly easy to make, even if you have never baked before, you to can do make this! Tim and I have been Valentine’s since high school and although we celebrate our love everyday, it is fun to give it some special attention on February 14th. This doesn’t mean spending a fortune at a fancy restaurant or lavishing each other in gifts. A leisurely dinner made with love followed by a special dessert makes for a perfect evening away from the hustle and bustle of everyday life. 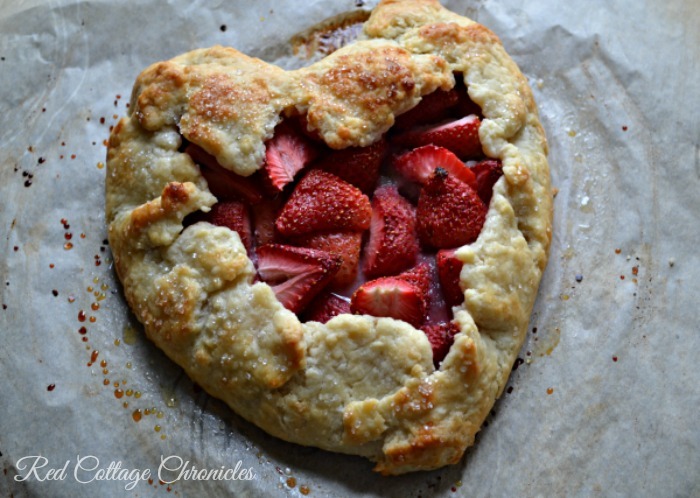 Sugar sweetened strawberries sit atop toasted ground almonds all wrapped in a delicious buttery pastry, and shaped into a heart is on the menu this year! 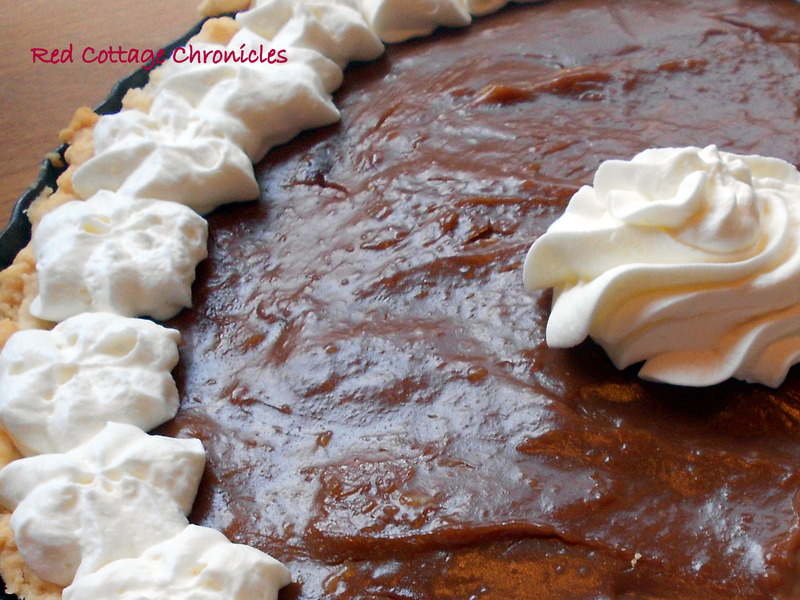 It really is just a simple twist on a the rustic caramel apple tart we all love. Making the pastry is my favorite part of this recipe, because nothing says I love you like made by hand. Creamy butter is rubbed into flour, sugar and a pinch of salt all by hand. A few spoonfuls of ice water bring the dough together. The best way to roll out pastry dough is on a cold slab of marble, which doesn’t have to be expensive. 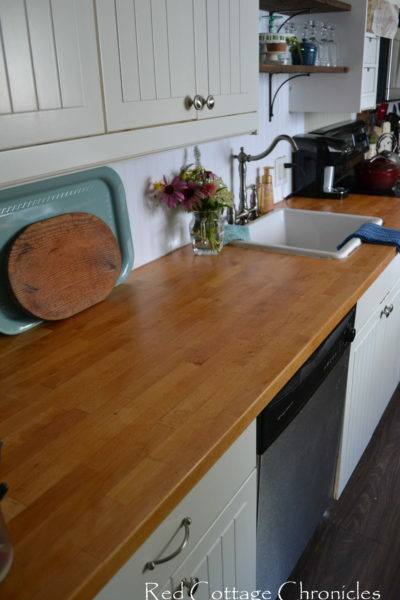 I picked up a 12″ by 12″ solid marble floor tile at Home Depot for under $10. I keep it on the bottom shelf of the refrigerator so it is always cold when I need it. I use a baking stone lined with a sheet of parchment when baking a galette which makes for nice even golden bottom crust. A light brush with some milk and sprinkle of course sugar before you put it in the oven makes for a slightly sweet golden crispy pastry on top. I even take the time to whip the cream by hand. Using a large whisk makes it fast work, as the heavy cream and a spoonful of sugar turns into billowy peaks of sweet whipped cream. 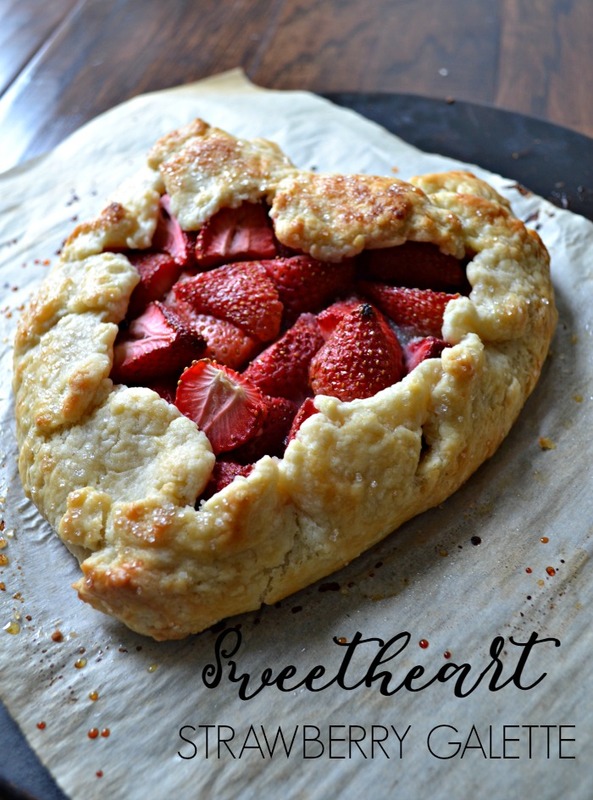 Whether you are spending Valentine’s Day with just your sweetheart, or with family and friends who are near and dear to your heart, this strawberry galette is sure to melt their hearts! 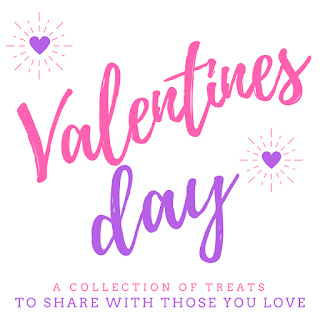 You can find a whole list of Valentine’s inspired recipes by scrolling down below, and I would love to know your favorite way to celebrate Valentine’s day. Leave me a comment and let me know! In a large bowl, combine flour, 1 teaspoon sugar, and salt. Add cold butter pieces and using your clean hands rub butter into the flour mixture until it resembles course pea sized crumbs. Add the ice water and fold in, again using your hands, mixing until the dough comes together into a ball. Wrap dough in plastic wrap and flatten into a disk. Refrigerate for about 30 minutes. 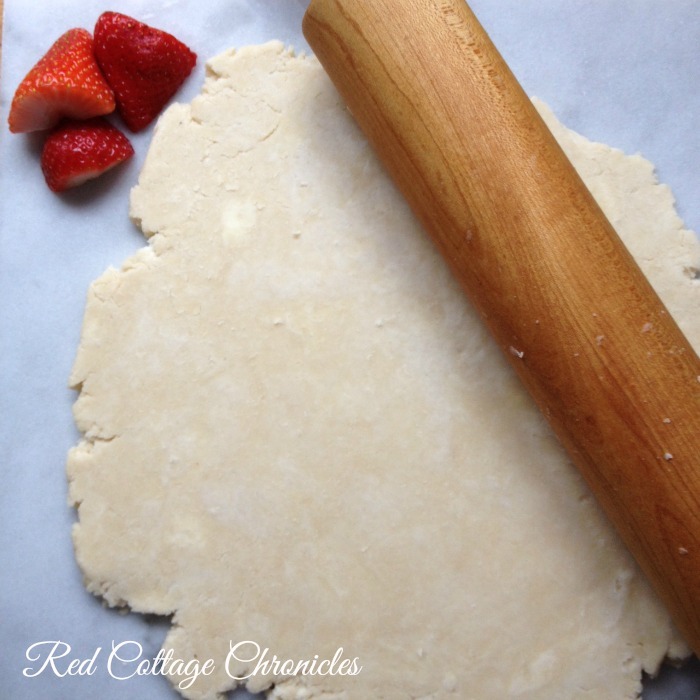 Remove chilled dough from the refrigerator, unwrap, and on a lightly floured surface roll into a rough circle approximately 12 inches in diameter. Transfer to a baking stone. Mix the flour and ground almonds and spoon onto the center of the pastry dough, leaving about a 3" border all the way around. Toss the strawberry halves with the sugar and arrange on top of the ground almond mixture. Fold up the edges of the pastry and gently shape into a heart (or leave it round), brush pastry with milk and sprinkle with course sugar. Bake for 20 to 25 minutes or until gold brown. Best enjoyed warm from the oven. Top with a dollop of whipped cream or a scoop of vanilla ice cream! So gorgeous and rustic looking. Truly showcases your love. I love the tip on the marble! I never thought of using it for pie crust but it makes sense! I also love how this is heart shaped and that it has ground almonds hiding beneath the berries! So simple & pretty! I love this! A leisurely dinner followed by this sounds perfect! What a great idea to use marble tile and keep it in the fridge! I should totally do that! 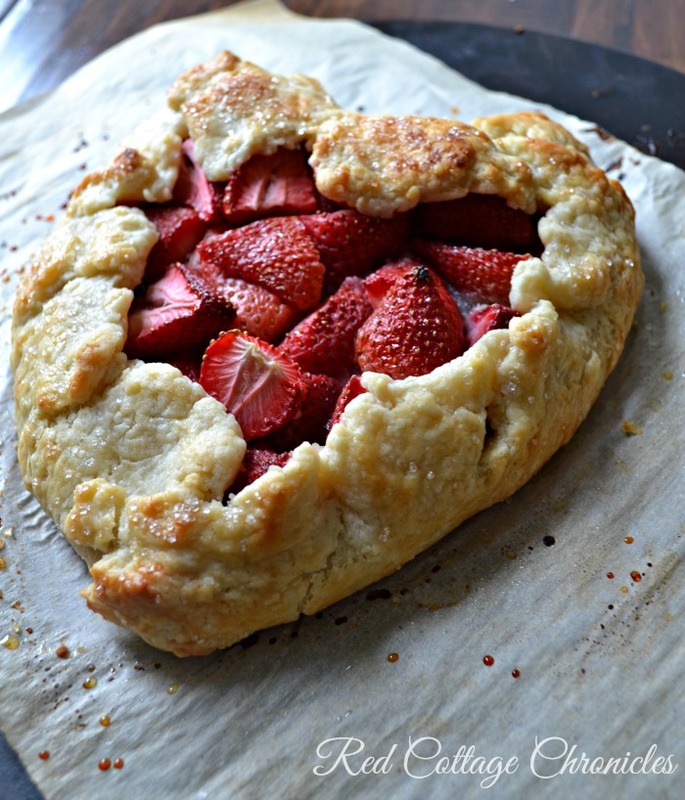 I love roasted strawberries and galettes so sure I would enjoy this. So pretty! 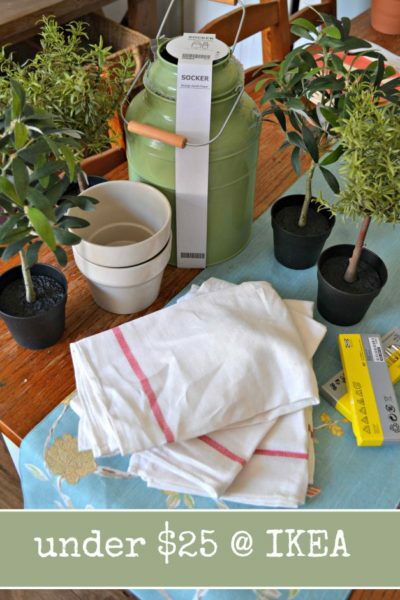 Thank you for the tip on using the marble tile at Home Depot, brilliant! These are too cute! Love those beautiful red berries and that heart shape, just so sweet! Such a pretty dessert that is not too heavy. Would be perfect for an anniversary too. We are big strawberry fans too. 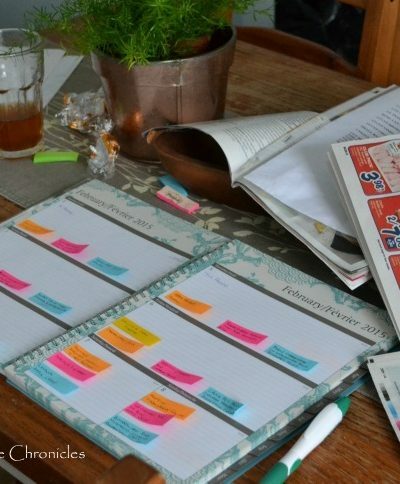 Thanks for linking at my Valentine’s Day celebration. This looks lovely and I hope you had a very Happy Valentine’s Day.